A recent ONS (Office for National Statistics) survey confirmed that East Midlands house prices grew by 7% in the year to October 2017, the strongest growth of all the UK regions. The region also saw the fastest rise in rental growth, up by an average of 2.7%. Against this background, strong population growth is forecast for the East Midlands in the years ahead, most notably in the South Derbyshire area with its proximity to the airport. The local buy to let market looks set to go from strength to strength!! 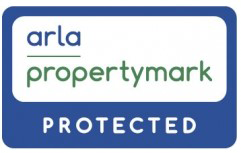 If you are interested in becoming a landlord or looking to expand your portfolio, we offer a FREE ‘Property Sourcing Service’ which you will find invaluable. More information on this can be found in the landlord section of our website.